I might have gotten a bit carried away with this page. But then again, the goal of this isn’t readability, it is for me to have fun adding stuff to the book. 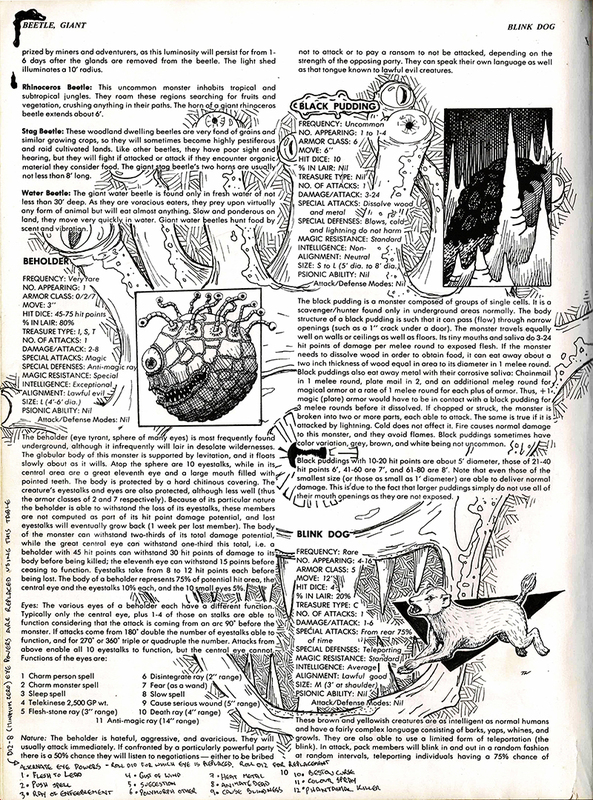 So here we have page 10 of the AD&D Monster Manual – although one of the beholder eyestalks extends over to page 11. Compared to the last few pages, there isn’t a monster on here that I haven’t seen used repeatedly in play.